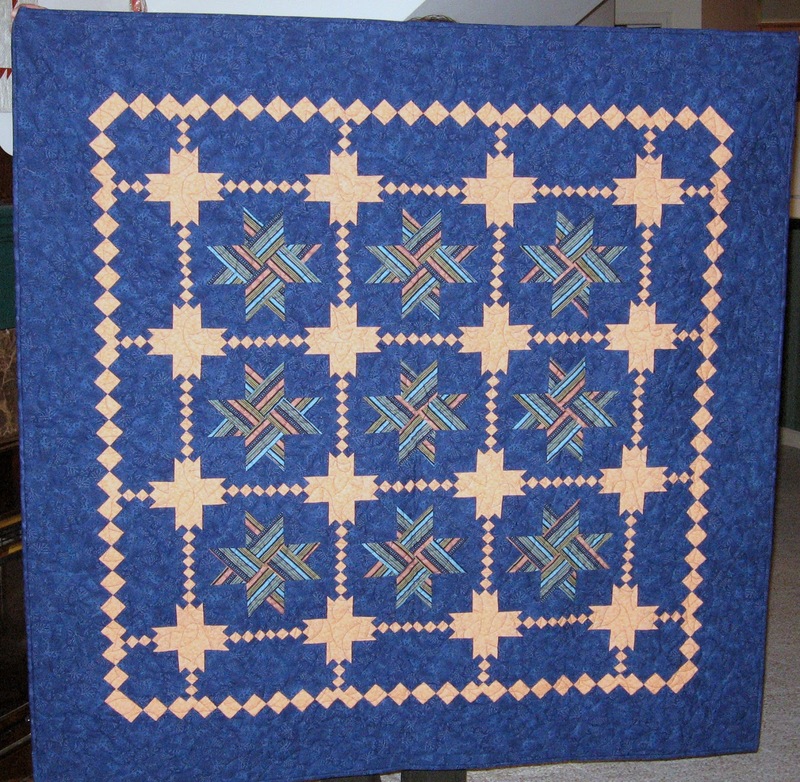 Here is an example of what a person can do when you change colour, fabric and size in a pattern. 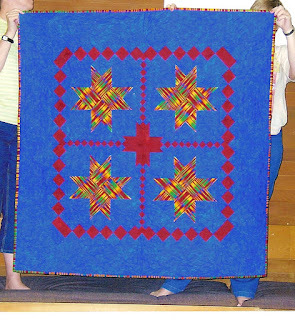 This pattern was another handout from Quiltsitters, consisting of nine patches and stars. 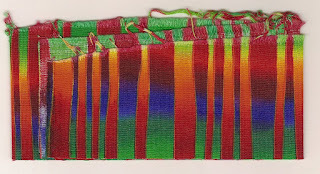 The first one I made adjusted the size and used a very vibrant striped fabric. 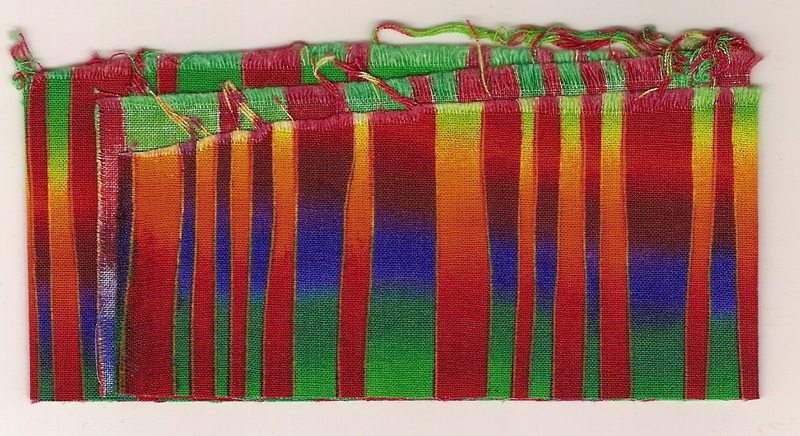 The background colours were pulled from the feature fabric. Here is the sample of the feature fabric that I used. Here is the result. Don't the stars just flame! 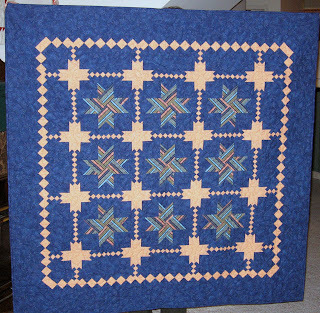 TWith some help from my friend Lyn, I resized the pattern for smaller blocks and used a more subdued palette. Here is a sample of the second set of fabrics I used. And this was the result. A bit more calm, wouldn't you say? Both of these quilts were donated to our local seniors long term care facility. I really like the bold fabric, gorgeous.